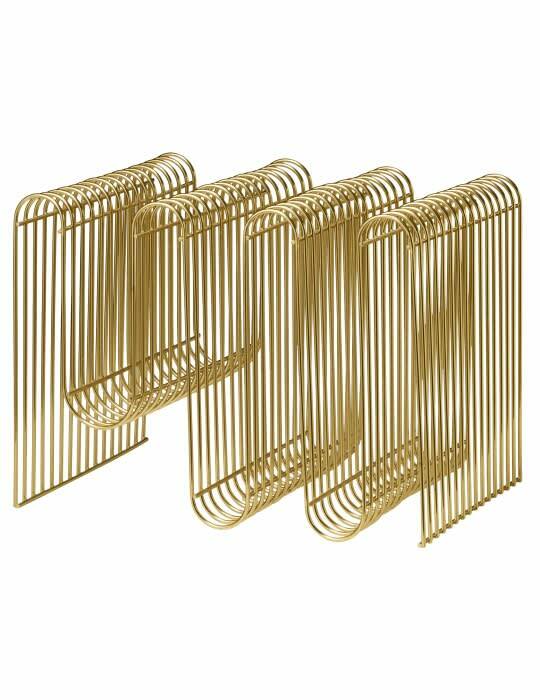 Curva Magazine holder Gold from AYTM is a metal magazine rack with brass finish. Divided into 3 sections to store magazines, newspapers or books for example. The Curva is also available in Chrome and black.